Thermal Transfer Ribbon determines the durability and strength of the label. So, it is very important for you to find the correct one as the right printing ribbon will ensure that the label is reliable, readable and scannable. In general, there are three types of ribbons namely, Wax, Wax/Resin and Resin. All these kinds of ribbons are used for different purposes and conditions. 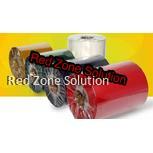 Wax Ribbons are generally used for specifically for the indoor applications like a supermarket. 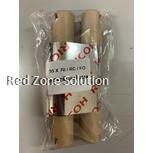 However, Ricoh resin ribbon can be used in harsh and extreme conditions. Ricoh resin ribbon has the highest percentage of resin in it. These are purely made up of resin only. These are consisting of two or more than two layers. Resins have a high melting point, so, printing with resin ribbon is can be done only either at the high heat settings or high energy levels. One can achieve low print speeds as high energy levels are required for the purpose of printing. Whatever the resultant printing image is presented it will bear the high resistance to the environmental conditions like heat, chemical and abrasion. These are of the most expensive in the category of thermal transfer ribbons. In this digital printing, a material is applied to the paper or some other thing via melting the coating of ribbon. It is an expensive ribbon type. Mostly used for non-paper and synthetic stocks. It is the most durable. It is ideal for using as the labeling for sensitive medical applications along with flexible packaging and chemicals. These are for long term and permanent. It can be exposed to indoors. It is also suited to moisture. This one is perfect to use as light handling as it is resistant to scratching and abrasion. Not affected by sunlight, water and chemicals. Unlike wax and wax resin ribbon, it is easily used on medical appliances and machines. It is also suited to UV exposure. These are formulated for printing on plastic labels. The adhesion of the ink on the plastic is tight so, it increases durability. These labels will surely survive in high temperature and are obviously highly scratch resistant. 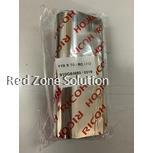 Ricoh resin ribbon is ideal for garment labels and textile apparel such as satin, taffeta and so on. In addition, they can be used for high gloss coated materials such as polyesters and polyolefin. They can also be used as the warranty void labels as voids are normally exposed to extremely harsh environments such as medical, chemical drum labels and pharmaceutical labeling. Ricoh resin ribbon is ideal for automotive and industrial application. Barcode ribbon can also serve your purpose. It will support your barcode printer. So, choose the right one to make full use of it. Keep in mind that Ricoh resin ribbon is resistant to smearing, chemicals and scratches. These are superior abrasion resistant. Thus, Ricoh resin ribbon will provide durability against heat and chemicals on synthetics. It will definitely match your need.